Kwongan heath is so cool. First, it's good to know that Western Australia is a biodiversity hotspot: one of the most species-rich regions behind places like the Amazonian rainforest. The species diversity comes from two sources. The first is a large number of marsupial species unique to Australia (many of which are sadly threatened by feral cats and invasive foxes). I mean, look at this. And this. Such cool animals, marsupials. The other source of diversity is the plant life. Western Australia houses some 13,000 plant species, 3,000 of which haven't even been named yet. It is crazy diverse. And the heathlands are a big contributor that diversity. Where I worked in Tutanning Nature Reserve ( which has 11 patches of heath, most the size of a big backyard) we found over 300 plant species. For comparison's sake, there are fewer than that over the entire reserve where I now work, all ecosystem-types included from beach to forest to bog. These systems are OLD. Glaciation didn't happen here last time around, so these same soils have been sitting in this spot for tens of thousands of years. This uninterrupted erosion resulted in nutrient poor and pretty harsh environments, so species have had to adapt over thousands of years to survive in really unique, individual little spots and conditions. As in most places, European colonization has changed everything. Below is a picture of the landscape all around Tutanning. 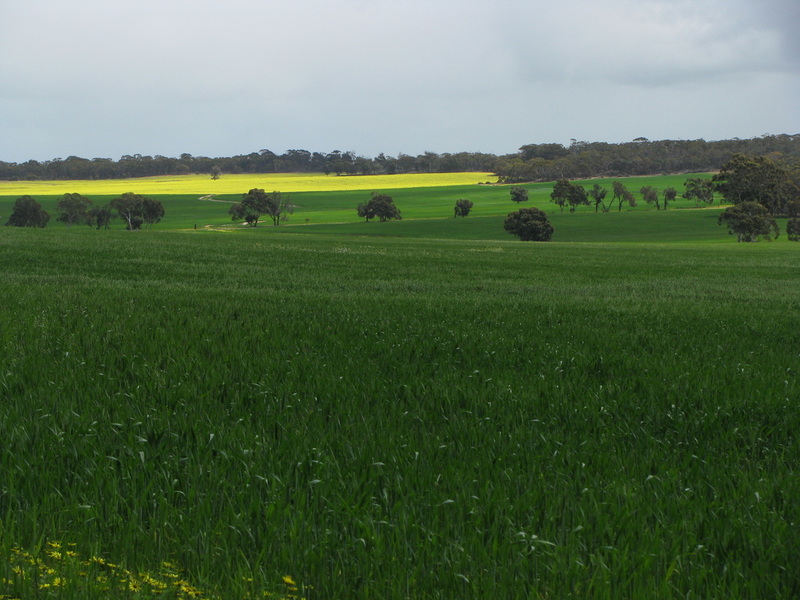 With so much agriculture, fertilizer run off is dumping nutrients into the soil, and historic disturbances like Aboriginal fires have been suppressed to support crop growth (Canola...yumm...). Since lots of these species have had thousands of years to grow up with fire, many of them depend on it. Fruits won't open without heat, and seeds won't germinate without smoke. 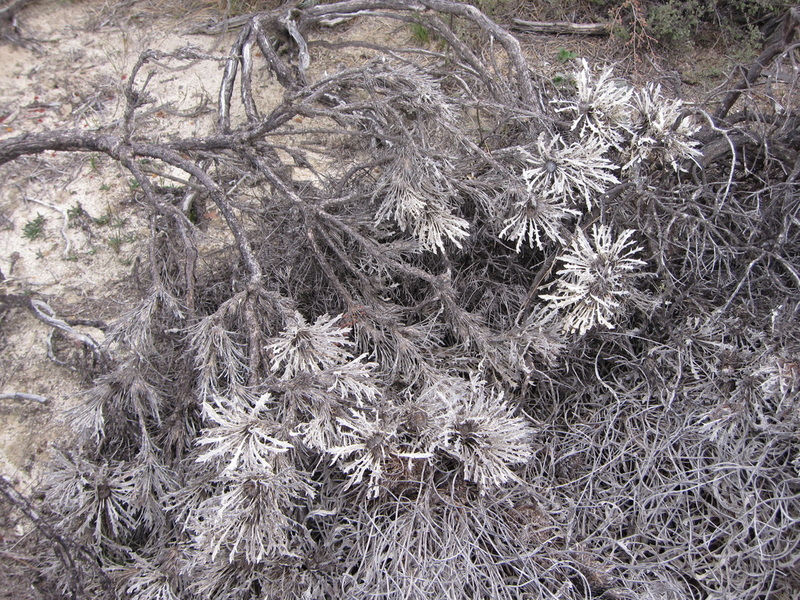 Without the fires, plants just grow old and die without reproducing. (Below is Banksia that has done just that. Grumpy old plant.) The loss of fire in the landscape has had some weird and sad effects on the native ecosystems. Unfortunately, once the sheoak takes over, things change pretty dramatically (below is a sheoak stand and a very dead Banksia​). 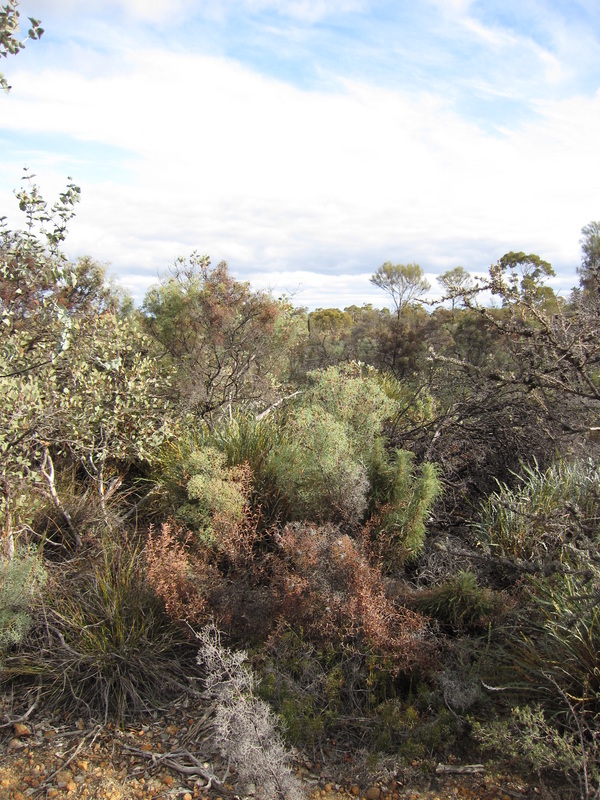 Two of the original eleven heath patches in Tutanning have been converted to sheoak forests, and heath species have declined in terrifying numbers. [NOTE: This next bit is just anecdotal experience from managers and local scientists.] The litter that sheoak sheds all over the ground seems to be pretty nasty. It doesn't provide habitat for cute and cuddlies, or even cute and not-so-cuddlies (reptiles, invertebrates, etc). It is really thick, so no sunlight can penetrate for other seedlings to use. If it's anything like pine species, it may also leach toxins into the soil, discouraging anything from growing except itself. ​As a manager, the question becomes, What do I do to save the heath? 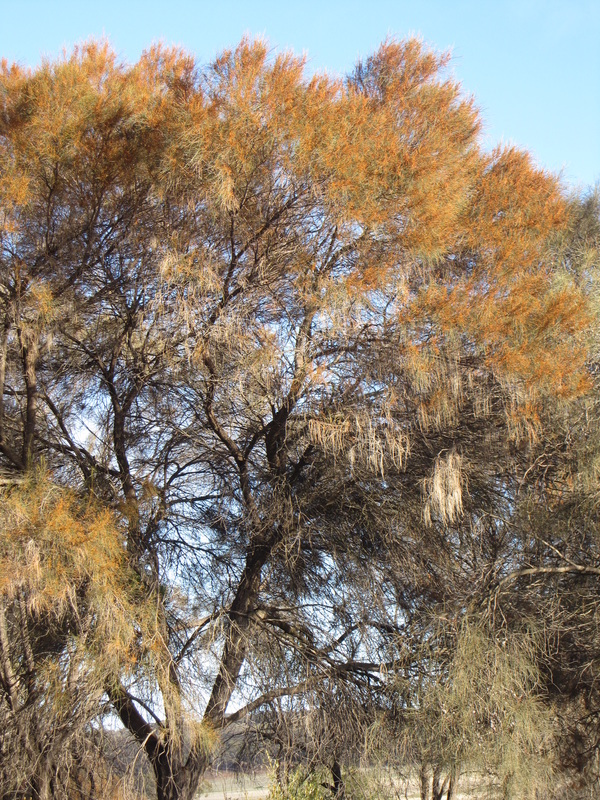 Sheoak is a native, so you don't want to plaster it with herbicide (the repercussions of herbicide in general are pretty sketchy anyways). We have almost no records of fire pre-colonization, so we have no idea how often the heath burned, how hot it burned, or in what season it burned. How do we reproduce a fire regime that we know so little about? And will a fire regime from 200 years ago even work under current conditions? The answer is you make a best guess. You burn the heath and monitor what happens (as we did for one of my thesis chapters, pictured above). Then you do it again 20 years later and see if that was the right fire interval. You cut down sheoak and see what happens (also [an accidental] part of my thesis, pictured below). But the 'see what happens' part can take a really long time. Like, a hundred years long time. Uncertain that I would live for another hundred years, I skipped the wait and wrote a model to project what would happen in my thesis. There's a lot of coding gibberish behind the image below. The model created a tree population on the fringe of a heath, a common configuration in the real world. Each little black dot represents one tree, living its life, doin' its thing. Then with the tree behaving in the model as it would (we think) in reality, we watched what happened if we didn't burn. Then if we 'burned' every 70 years, 60 years, 50 years, etc. Then we mixed it up with managed removal. We figured out the two combined could actually hold back the invasion without freaking out the local farmers too much (fire next to their land every twenty years is just a bit much). The management plan was being finalized as I was finishing up my Masters and is still in the works.